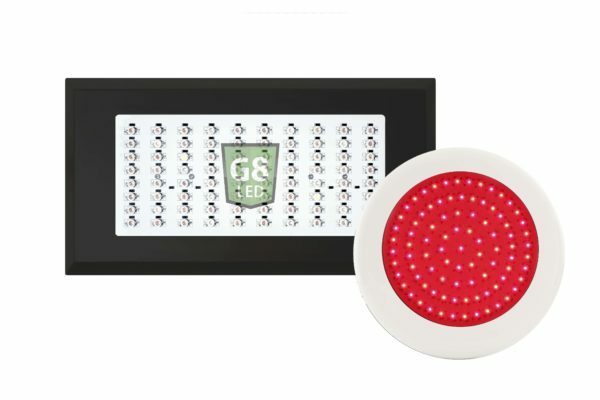 Complete LED Grow Light Kit – G8-240 Veg/Flower Full Spectrum Grow Light + 90 Watt Red G8LED Flower Booster. From seedling through harvest for up to 4 mature plants. 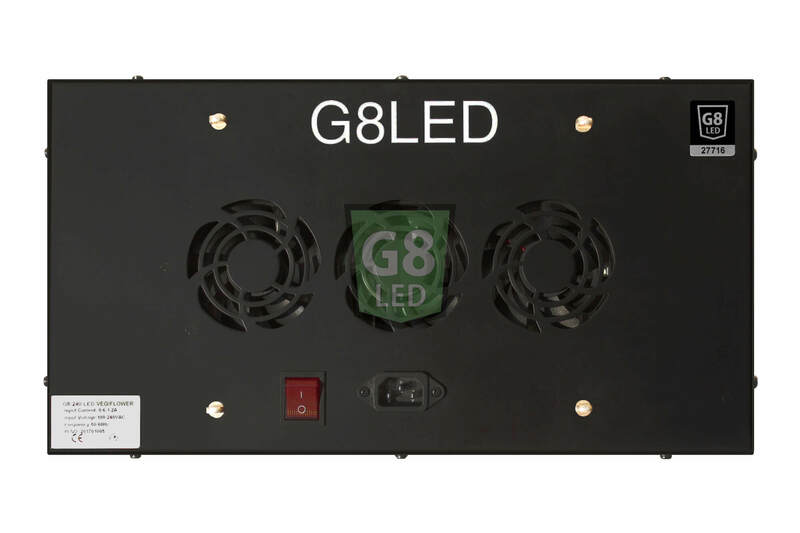 The G8-240 Full Spectrum LED Veg/Flower grow light by G8LED is for small spaces and provides intense coverage for 2-4 mature plants from seedling through harvest. 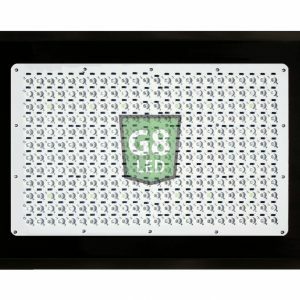 This G8LED has the growing power of 300-400 Watts of a high-pressure sodium (HPS) or metal halide (MH) bulb, while only using 140Watts of power. 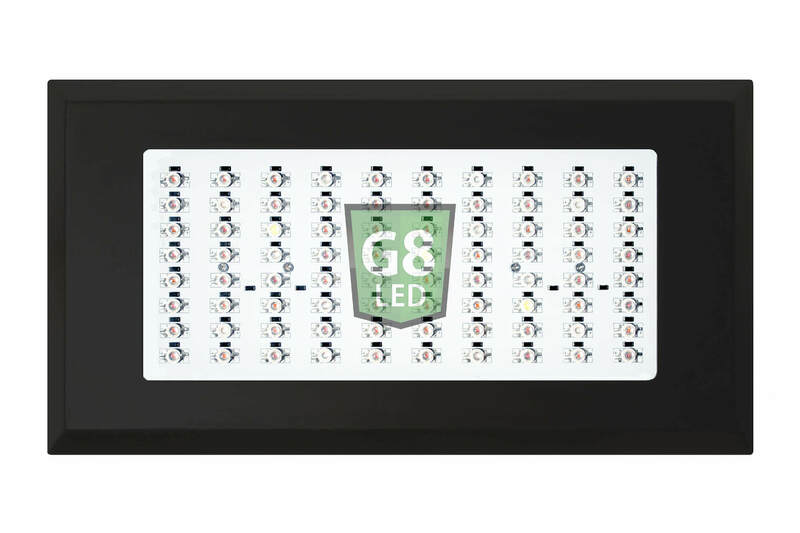 This is a full spectrum grow light for both the vegetative growth and flowering cycles and provides intense coverage for 6 square feet (3feet x 2feet) (0,6sq meter-91cm x 61cm) of grow space. 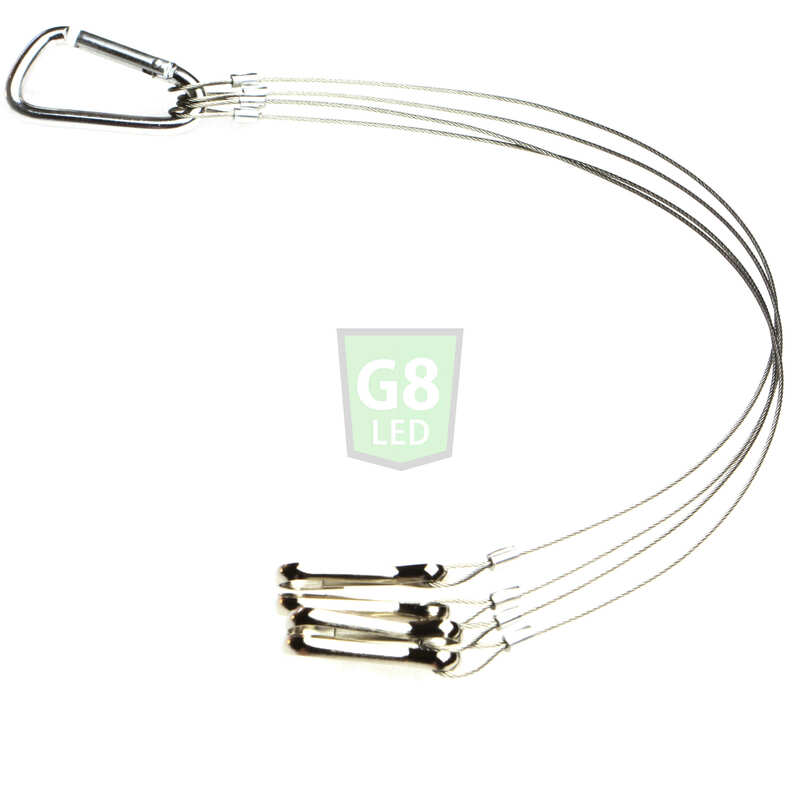 This light penetrates 5 feet (152cm) down into the canopy and saves 50-60% on your electrical consumption. 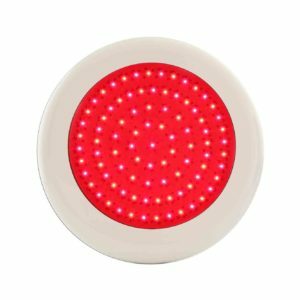 The electrical savings will pay for the light within the first year of usage. The G8LED 90W Red Flower Booster is a supplemental flower enhancing light that can be added to any flowering room. 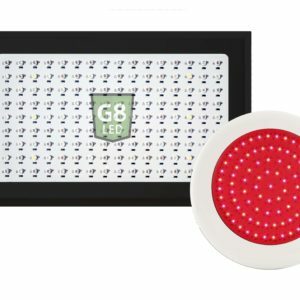 Within a few days of adding this light next to your G8LED Veg/Flower light, there will be a noticeable increase in flowering. The Flower Booster increases flowering size, density and increases yield. 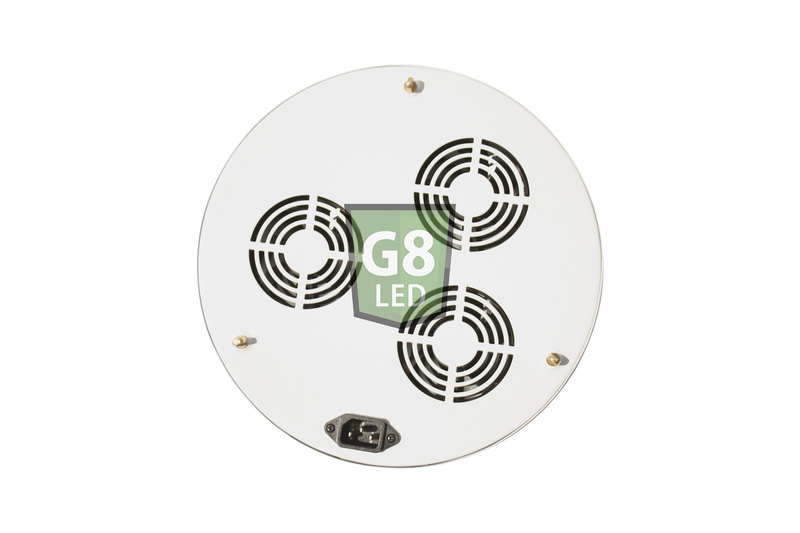 Flower Boosters can be added alongside any LED, HPS, MH, Plasma or Florescent lighting during the flowering cycle and provide coverage for a 3foot (91cm) diameter. The hanging distance for the Flower Booster is at the same level as the Veg/Flower light. 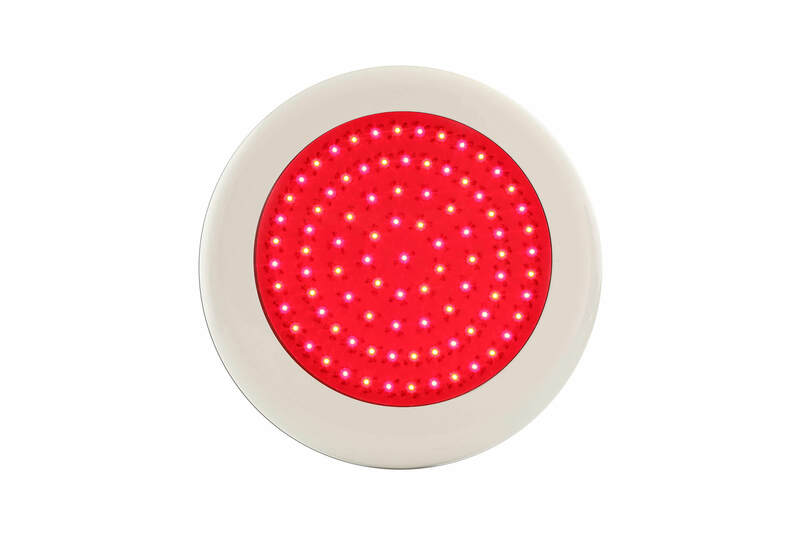 This light can also be placed vertically or angled towards the plants. 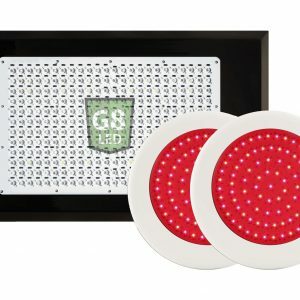 The Flower Booster is a great investment for every grow room. 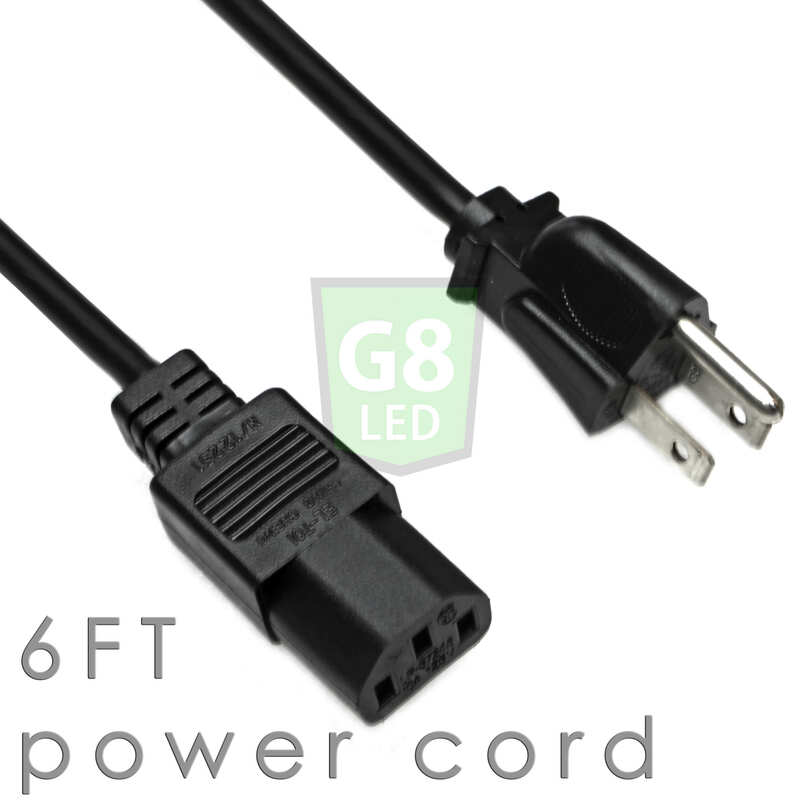 This is a pretty small light, about 1.5 ft long and 10 inches wide. At first, I didn’t think it would be strong enough, but I am pleasantly surprised by how well my plants have done with this light. It was a bit awkward adding the flower booster on the side it was not an issue at the end because all the plants were glazed and dense. I think every grower should have a flower booster, it made such an impact, and very quickly too. Good job G8!